Filipinos celebrate festivities with utmost vigor. We party like there’s no tomorrow. We honor and revel in our culture to the highest level of pride. And once again, our adoration for revelry and respect of culture were joyously celebrated during the 3rd Jagna Calamay Festival. Excited for the day’s event, we woke up early and had a hearty breakfast courtesy of our host accommodation Marjhun’s Apartelle, which caters to both short- and long-staying guests. But for us, the best thing that Marjhun’s Apartelle offers is a painting done by Mother Nature’s hand. 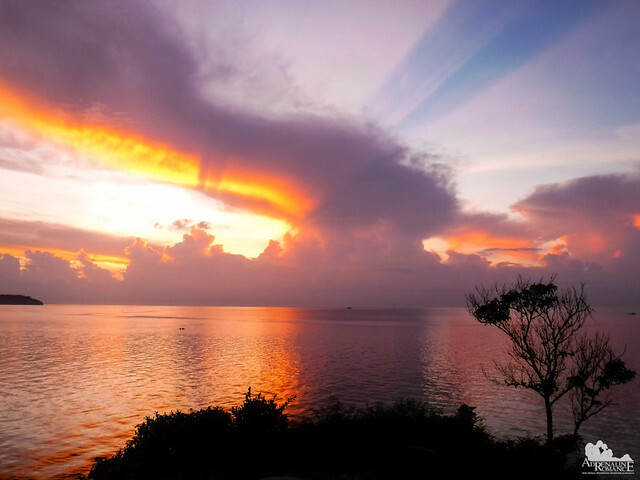 Since the apartelle faces the eastern side of Bohol and is perched on top of a high sea cliff, we were treated with an unimpeded view of spectacular Jagna’s sunrise. After showering and changing into comfortable urban adventure clothes, we were ready to join the festivities. Sir Neil, our guide from the Bohol Provincial Tourism Office, fetched us and our fellow online influencers in a van and headed towards the Jagna Tourism Office at the town center. When we arrived, the festivities were in full swing even if it was still early in the morning. People have come out of their homes, music was blaring loudly, and hawkers gathered to sell their wares. 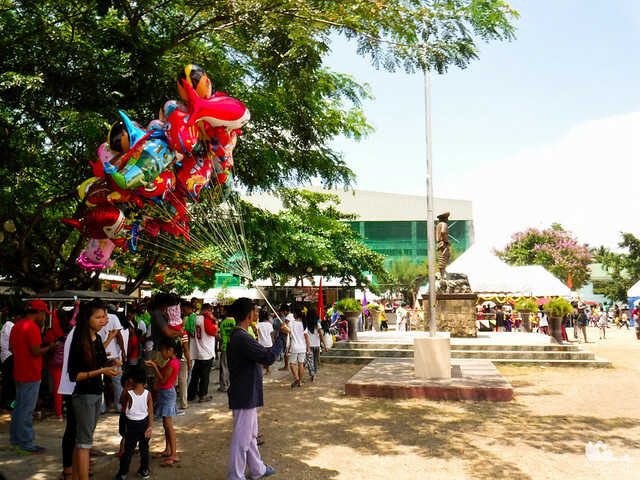 The festivities were held in Goyo Plaza, named after the local hero Captain Gregorio Caseñas. From 1898 to 1901, he led Jagnaanon revolutionists against American invaders during the Philippine-American war. 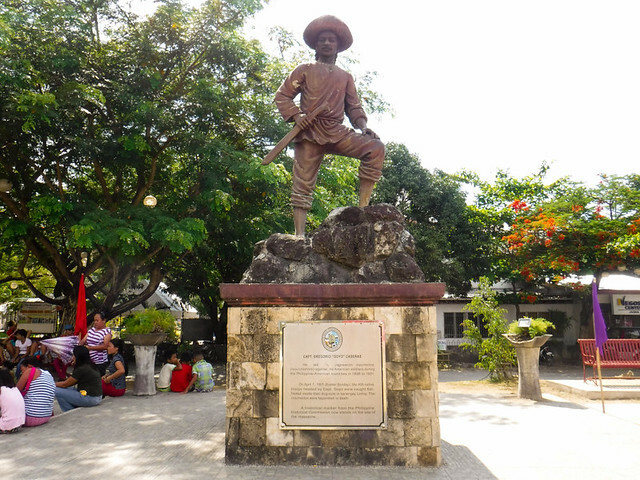 His battalion of 400 insurrectos were defeated and killed in April 7, 1901 when Americans learned of their ambush due to a traitorous Filipino officer. 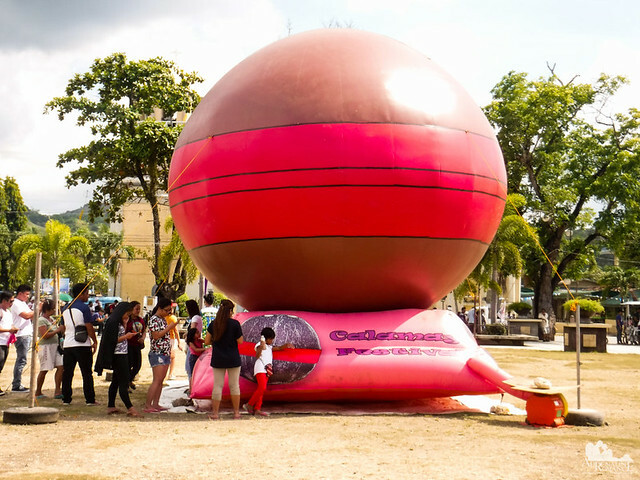 A gigantic inflatable calamay was installed at the town plaza. Its enormous size perfectly reflected the grandiose way the Jagnaanons proudly honor the delicacy that enriched their culture, improved their livelihoods, and placed them in the world map. A calamay-making demo drew the attention of a lot of onlookers. 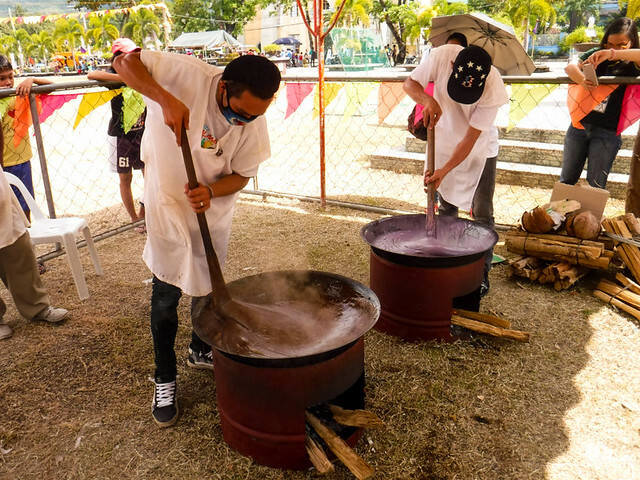 The calamay was prepared in the traditional way, and both locals and tourists were transfixed at the calamaderas in action. For us, this is a great way for people to look and appreciate their local history and culture. 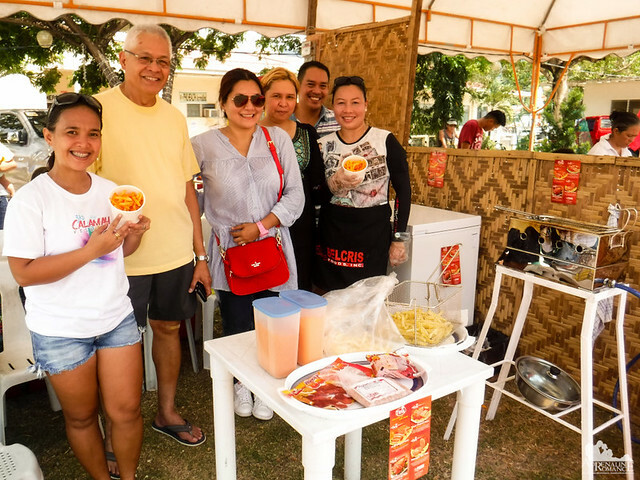 Once the calamay was done, people were free to take a few samples. Foreigners loved the sticky delicacy, commenting how fun it was to eat it. Calamay is not the only delicacy that Jagna is famous for. Displayed all over the plaza were stalls that sell specialties such as home-baked cookies, chips, teas, coffees, juices, and other foodstuff. Sheila and I pooled our pocket money to buy a lot of these delicacies. Hehehe! 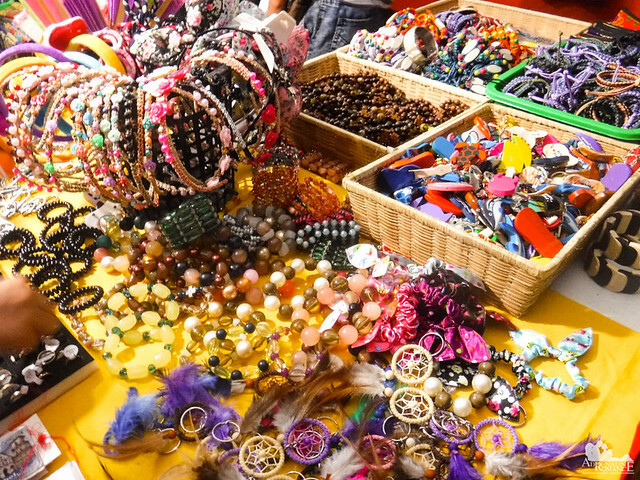 Handmade crafts such as bracelets, necklaces, ref magnets, and decors were also available. Surprisingly, most of the customers who flocked to stalls selling these items are young kids and teens. It was really an eye-turner that unlike young people in the city who have thrown away craftsmanship out of the window in favor of heartless electronics gadgets, kids in rural areas still largely appreciate arts and crafts. Hawkers peddled their wares on wooden carts. 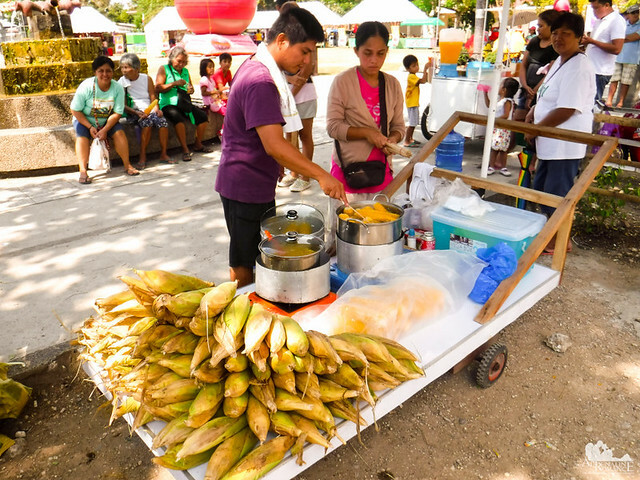 Hot corn, cold juice, healthy snacks, junk food, delicacies—there’s everything for everyone! This is why we love rural festivities such as this. Sweetie and I had a big breakfast, but going around the plaza under the scorching sun was draining that filling feeling. Thus, we helped ourselves with streetfood such as shakoy (fried, twisted bread and sprinkled with sugar), tempura (deep fried squid-flavored doused with sweet-chili sauces and topped with cucumber slices), and tortas (sponge cakes). Mmmmmm! Close to mid-day, people suddenly rushed and lined up the sidewalks. 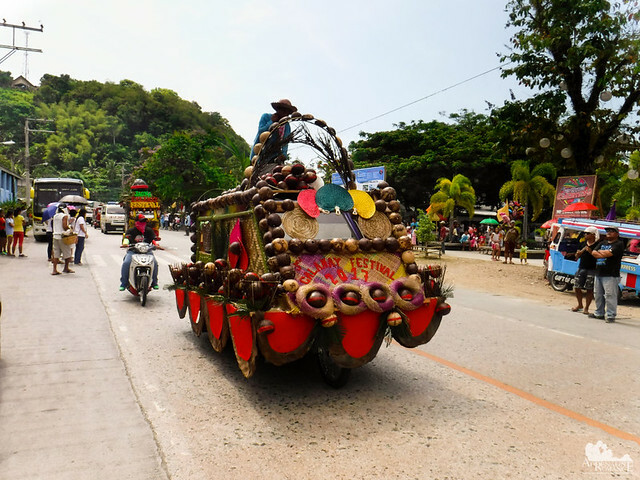 The parade, which started at Jagna’s northernmost barangay of Calabacita and ended in the municipality’s southern barangay of Alejawan, blared with roars of pride. The locals applauded when these decorated habal-habals and motorelas passed by. Motorelas are important in the daily lives and business of Jagnaanons. Not only do they bring people to places, but they also transport hundreds of calamays from the production area to the market. 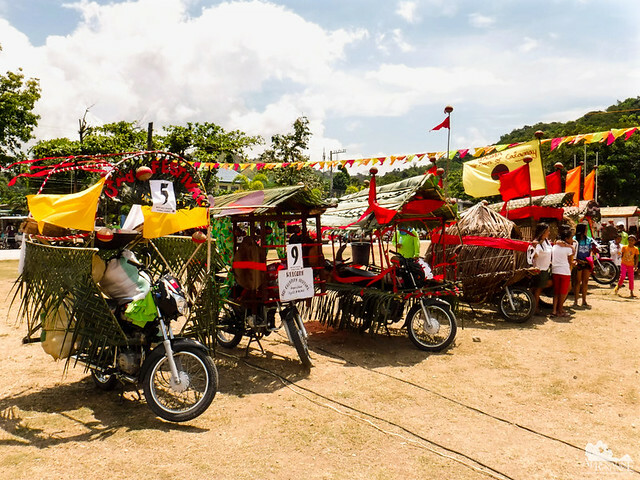 They form an integral part of the town’s thriving economy, thus, they are given recognition by letting them join a motorela decorating contest. Just check out these meticulously decorated vehicles. 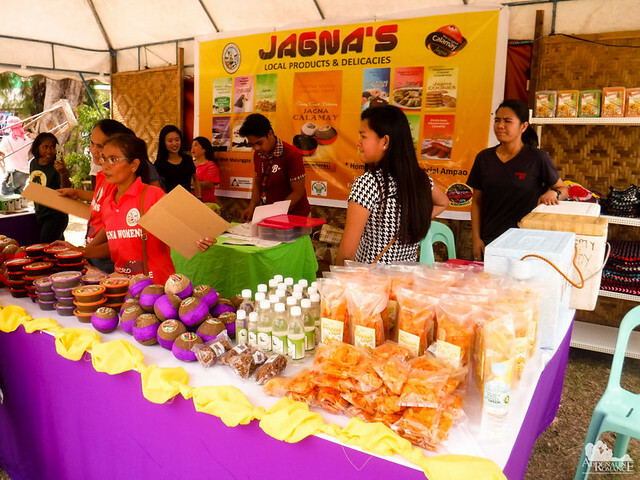 At noon, we met some important public officials who went on and formally opened the 3rd Jagna Calamay Festival. One of the things that really caught our attention was the beautiful Jagna hymn, which eloquently describes the sweet beauty of the place. The video below is an older version; we couldn’t find a newer one. The visuals are different, however, the melody remains the same. After the short show, we were treated to a sumptuous lunch at Captain Goyo’s Hall in the Jagna Presidencia Town Hall. The ceremony after lunch was quite a harrowing experience for us because we, along with our fellow influencers, were asked to introduce ourselves individually to the LGU officials and Bohol-based media. As you probably know, we have a bad case of stage fright, we usually keep ourselves low profile, and we’re not used to speaking in front of people. 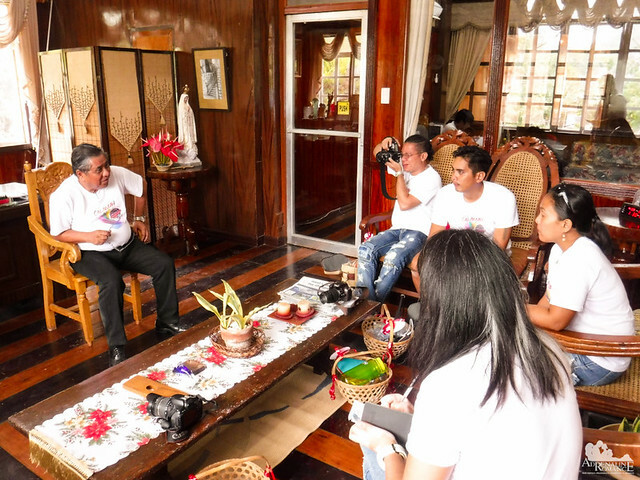 We had the chance to interview Jagna Mayor Fortunato Abrenilla later after we finished our lunch. After our talk, it is easy to see that he is among the most active, dedicated, and dynamic public officials we’ve ever met. 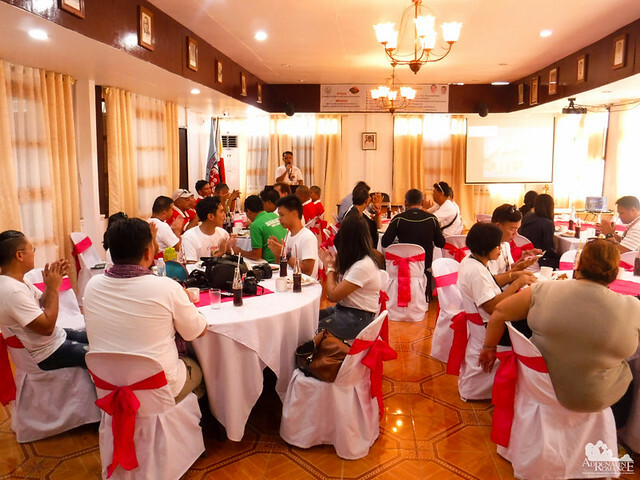 Mayor Abrenilla outlined and explained his tourism, agriculture, environmental protection, and security projects that involved the various barangays around Jagna. His plans are truly appreciable and has considerable merit. There was supposedly a kite flying contest as well. However, this was cancelled because of lack of wind during the contest day. Kites are judged by their appearance, obviously. But more than that, they will also be judged on how steady and well balanced they are in the air. And, we’re not sure if we remembered it right but…kite fighting? That would have been exciting! On the second night of our arrival, we attended a Cultural Synthesis at the Jagna gymnasium upon the invitation of renowned Jagna professor and college dean Onesimo Galamiton, Ph.D. High school and college dancers performed various folk dances that left our hearts beaming with pride. Filipino dances are absolutely fabulous, and each type of dance tells tidbits of our history and culture. 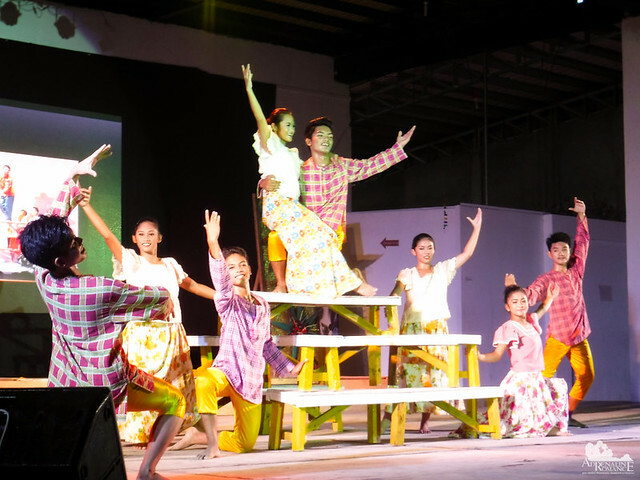 One of our favorite dances is Sinkil, which is similar to Tinikling, another traditional Filipino folk dance. Based on the Indian epic poem of Ramayana, the dance originally involves only females in royalty. It is said to be a dance to advertise the princess to potential suitors. 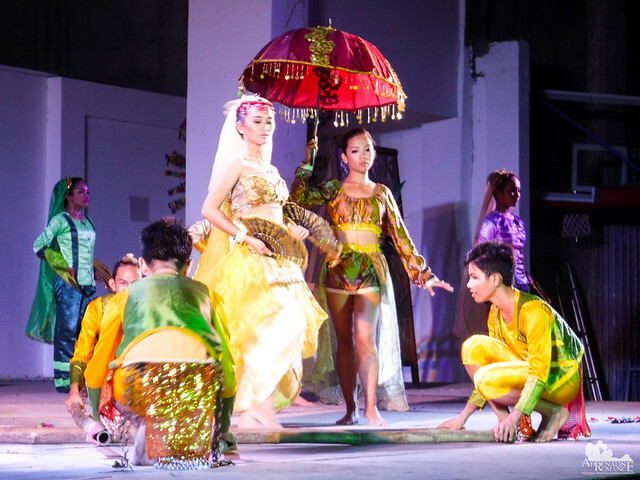 The Bayanihan Dance Company later modified the Sinkil to be divided into four “acts,” which involved Asik, the waiting girl who holds an umbrella while the princess dances. Further adaptation includes the entrance of a warrior prince who battles with a rival who threatens to take away the princess from him. The Cultural Synthesis also involves a beautiful rondalla performance. The rondalla is an ensemble and a musical performance with stringed instruments, most commonly guitars, ukuleles, and bandurias. The rondalla was introduced in the country when the Spanish colonized us. Once commonly performed by elementary or high school students during field demonstrations and school shows, these performances are quite rare. 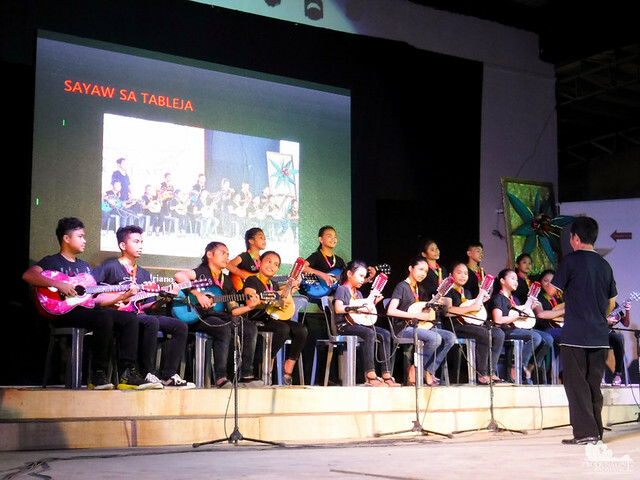 We felt privileged to hear the rondalla once again during the 3rd Calamay Festival. 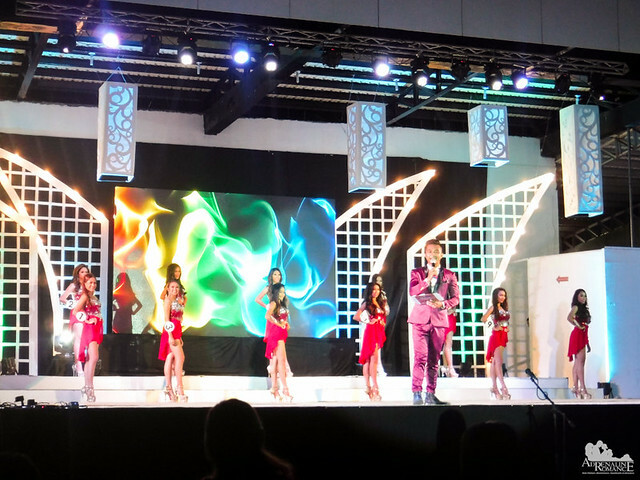 It is universally known that the Philippines loves beauty pageants. Town fiestas and other special celebrations are not complete without a pageant, and Jagna is no exception. 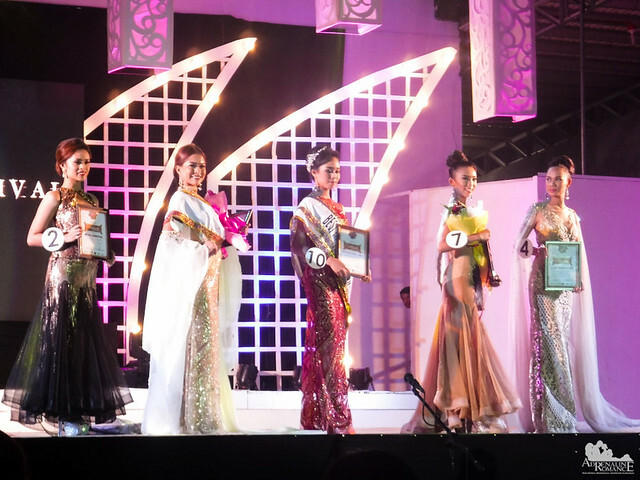 The Miss Jagna Calamay Festival 2017 competition was as grand and sophisticated as its international counterparts. 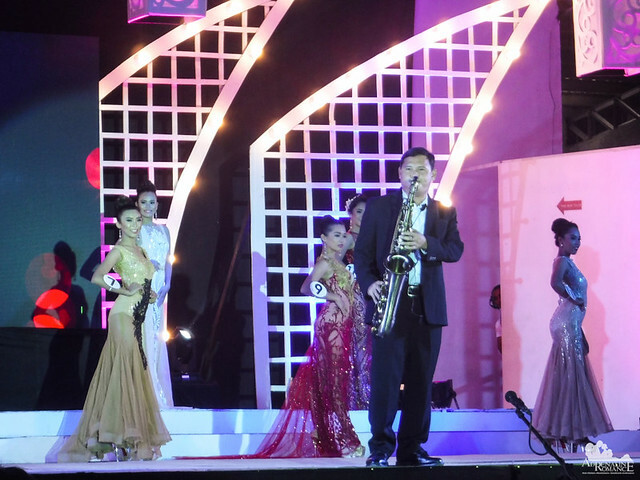 One of the highlights of the pageant was a live intermission number. The guy played the saxophone so well that everyone was stunned at his performance. Who of these lovely and intelligent ladies will win the Miss Jagna crown? We don’t want to keep you guessing. The Miss Jagna Festival 2017 title and crown were rightfully earned by Ms. Reyna Jane Amparado who showed her wits and grace during the pageant. Congratulations! Check out our short video of the festival’s activities in the Plaza. During the festival, we received an unexpected text message from someone whose number is not listed in our phone. Who could it be? Well, it turned out to be Tito Lido. He is a Jagnaanon who has migrated to the US. While in the US, he became very good friends with my father, who has recently acquired a Green Card. What a small world! We caught up on times, telling stories of his adventures with my dad. We also visited the stall of Belcris Foods Inc., a food processing company in Mandaue City. The company owner, we learned, is also a friend of Tito’s. We love Belcris products—hams, bacon, tapas, and other preserved meats. In fact, along with eggs, we often have Belcris sausages or luncheon meat for breakfast. Last Christmas, we enjoyed a pear ham from them. So it was an honor to meet and socialize with the owners of one of our favorite food brands. After our meeting with Mayor Abrenilla, Sweetie and I went to Idea Pension House and Garden Cafe upon Tito’s invitation for a merienda (mid-afternoon snack). When we arrived there, we were introduced to another two of my father’s friends Edgar and his wife! The world just became even smaller! By the way, this cafe is known for its servers who are speaking- and hearing-impared young people. We looked at them in admiration as they disregarded their handicaps and served their guests the best they can. 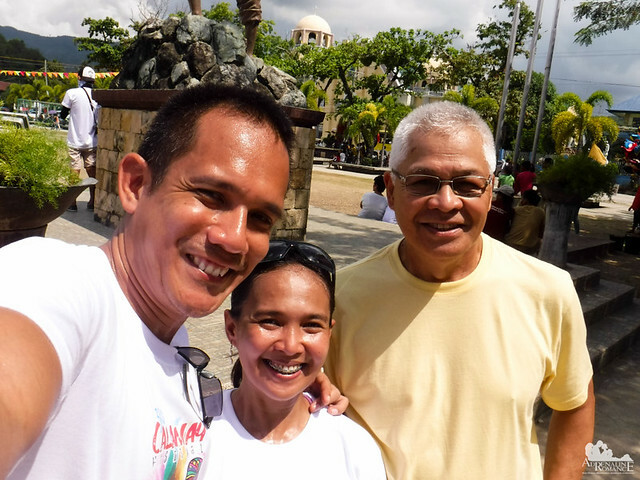 Life, history, culture, and people are celebrated with vigor and exaltation in the Philippines. While we may love foreign influences, it is invigorating to know that we are still very much attuned to our Filipino origins. Check out awesome activities that you can do in Jagna, Bohol as well as backpacking tips in the next post. That stunning sunrise before going through the festival is such a great welcome. I didn’t know that Jagna Calamay Festival is really that lively and beautiful. I hope I can experience this as well If I get the opportunity. Haha! Very Filipino! What is lacking here is the rusty ferris wheel, roulette, bingo, shooting games, etc. 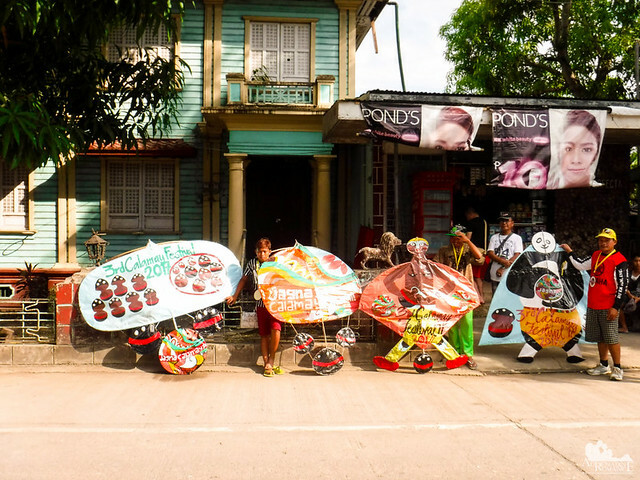 We definitely love Filipino fiestas! This is the first time I knew of this festival. I got hungry looking at the calamay being cooked in the woks. Haha. 🙂 I appreciate local crafts as well. When we go on out-of-town trips we always look for artsy souvenirs. How fun! 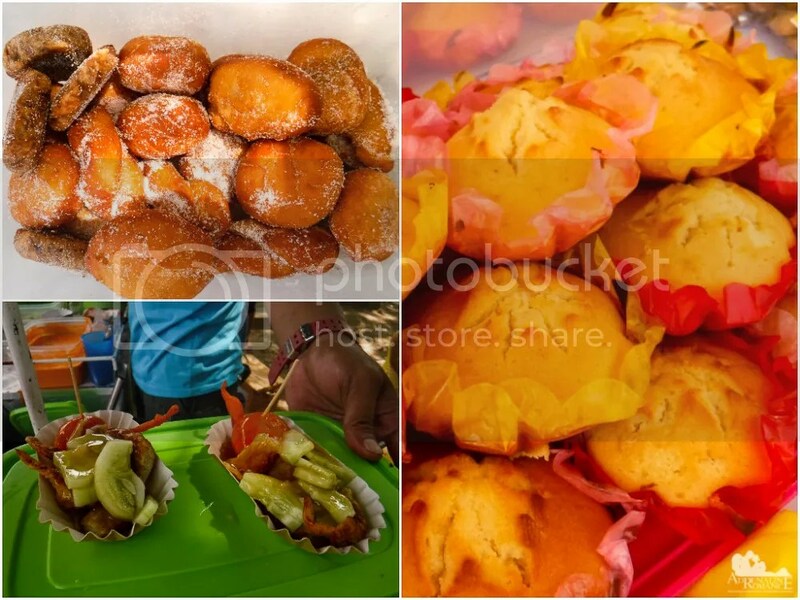 And the street foods look yummy! I was like in the festival ALL-DAY itself while I was reading and looking at the pictures of this post! It’s a shame for me that I’ve never been to Bohol. Maybe next year when it’s time for Calamay Festival because it’s FUNtastic! Bohol is a very beautiful place. 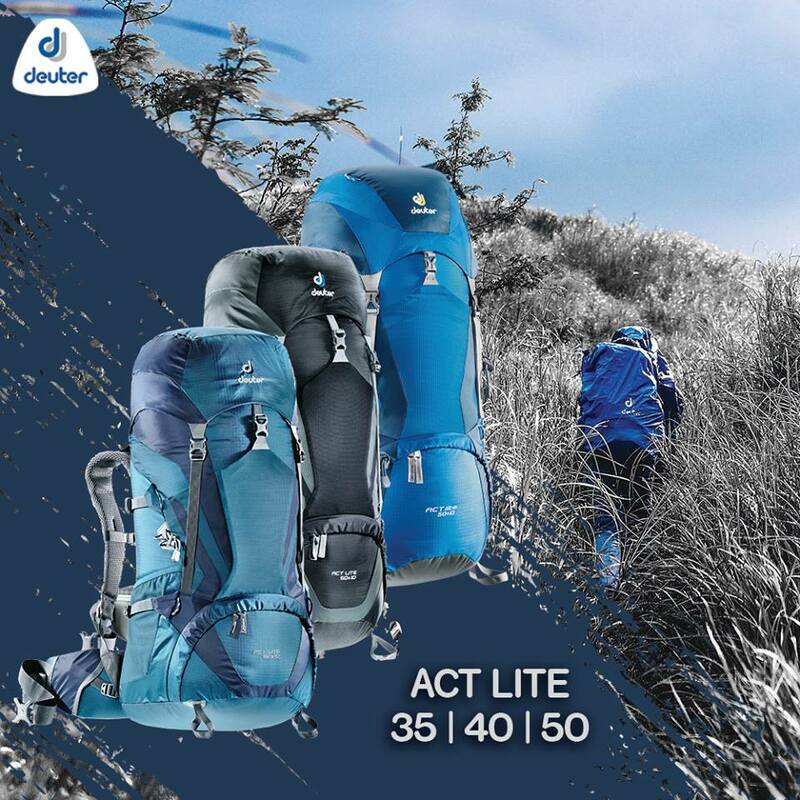 So full of life, natural attractions, and festivals. In fact, Sheila and I are planning to have a multi-day adventure trip in Bohol this year. It’s totally fun! Very Filipino. As to the Jagna Calamay Festival itself, it’s a rather new one; the festival is only on its 3rd year. Looks like a wonderful festival. We got caught up in a festival/carnival/parade in Dumaguete and it was so full of energy and music! This festival must have been a great experience to check out. Looks wonderful and very colourful which created a great atmosphere. Experiencing a local festival is so much fun and the best way to immerse in the spirit of the country. The best part is that everyone is in a holiday mood, and that includes the locals! I knew of calamay because it’s always the pasalubong whenever people visit Bohol. But it’s my first time to know that Calamay has now a festival. Looking at your festive photos makes me want to experience this sweet festival, too. Truly, Bohol has so much to offer. Thanks for sharing. Indeed! Whenever we visit Bohol, we never fail to buy some calamay. I didn’t know about the Filippino – American war! So thanks for that info! Wow! That’s one awesome festival! I love those dream catchers and beaded jewelry! I might end up shopping so much!! Yes, we fought with the Americans before WW2. Then we became allies and fought the Japanese during WW2. The sunrise picture inn Jagna is spectacular. The Motorela decorating contest looks fun and a good way to make unique Instagram images. This festival looks so positive and fun. wow what a great festival! Seems like its so much to do there and its so much fun! ! I love those handmade crafts and kites! Jagna Calamay festival looks so grand and I being the festival lover whether I am in India or anywhere out of country enjoy being part of such festivities. I had loads of fun in Bhutan as I was there during Paro Drubchen festival. I would definitely love to attend Jagna Calamay festival especially those colorful dances! It’s really fun! For us, the best experience is the food exhibit. 🙂 Mmmmmm! The Jagna Calamay Festival looks like a really fun and vibrant celebration. There is a lot going on! The decorations and festivities look amazing and I’d love to try some of that food.